Join us for a fun night of fellowship to kick off a “First Friday” event series with our new Youth Minister, Lauren Johnson. Come and savor the final day of our Christmas season. Revel in the spirit of magic and wonder of “three kings day.” There will be pizza & games, a brief discussion about Lauren’s latest mission trip to Nepal, as well as share an Epiphany cake. 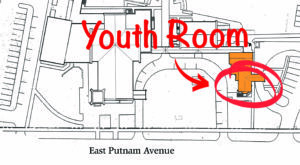 Wondering where to find the Youth Room? Find us on the west side of campus on the first floor of the Annex building. Fun Fact: The three Kings (Melchior, Caspar and Balthazar) represented Europe, Arabia and Africa respectively.